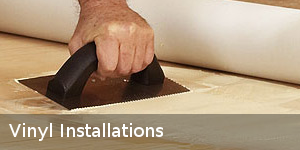 Flooring installations take time, precision and know-how to get it right. The Floor Store has 30+ years of installation and flooring experience. Specializing in hardwood, laminate, vinyl, tile and carpet there is no job to big or small for The Floor Store. 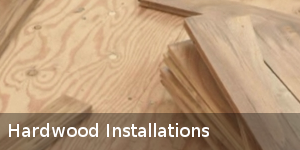 Depending on the type of flooring you have chosen installation procedures may vary. Most manufacturers provide detailed installation instructions with their products and on their website homepage. 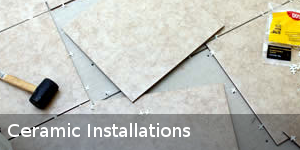 If you are looking for more information about installation procedures please have a look at our Manufacturers page and visit the manufacturer website that corresponds to your chosen product. If you are a customer of The Floor Store or are interested in purchasing flooring products or would like to request more information about flooring installations please feel free to contact us using our online form or give us a call today! We would be happy to assist you with any questions or comments you may have about our products and/or flooring installations and repairs. Photo Credits: Daltile, freedigitalphoto.net - sumetho - suteman. The Floor Store is a Grand Strand, Conway and Myrtle Beach flooring company that specializes in hardwood, ceramic and tile flooring.